Registration fee covers the cost of the Workshops, Lunch and Coffee. There is no cost to attend the APA AGM at 1:00 p.m. Registration for non-APA Members will be available beginning October 25th. Consider joining before registering for the AGM event and obtain the discounted rate! See 'Become A Member' for information. Special offer to Students who apply for APA Membership on or before the November 24th AGM - $15! Contact our Membership Director before you apply online to receive your Discount Coupon. Includes the full day - the AGM, workshop, lunch and coffee. Consider joining APA before registering and receive the APA Membership price of $30 for the AGM Workshop & Lunch. See 'Become A Member' for more information. We welcome interested members of the public to join us for our AGM workshops and lunch. If you have questions, please contact us. Details available on our Contact Page. Please join us for our Annual General Meeting & Workshop. The Agenda is outlined here and a copy of our AGM Workshop Flyer in PDF Format can be found at the end of this page. This will involve presentations by Ian Williams, Intelligence Division, Toronto Police Services; Bruce Davies and Brock Kingston, Cansel Toronto and William D. (Bill) Finlayson, This Land Archaeology Inc.
Ian Williams has worked as a GIS specialist for Statistics Canada and the Intelligence Division of Toronto Police Services. He has also worked with Finlayson for the past six years in developing GIS applications to archaeology. He will provide an overview of Geographic Information Systems Mapping in general. 3:00 Modernizing Ontario’s Archaeology Program: The Ministry of Tourism, Culture and Sport will present a update on the archaeology program and the modernization project that is currently underway. The presentation will include a brief introduction to changes to the new IT system to be launched in late 2012 and changes to the report review process. There will be an opportunity for attendees to ask questions of Ministry staff following the presentation. Why 3d scanning? How does it work? What are the workflows? What is the finished deliverable? Bill Finlayson will summarize his use of D-GPS units with sub-m and sub-cm accuracy and their integration with GIS mapping software in archaeological assessments in southern Ontario. 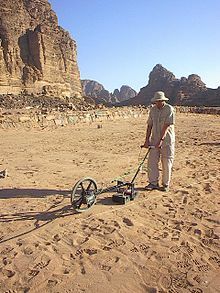 "Peering into the sands of time: using ground penetrating radar in archaeology"
Because of its ability to produce highly detailed images of the subsurface, ground penetrating radar (GPR) has received considerable interest for application to archaeological problems. However, the successful use of this technique is dependent on one’s understanding of underlying science that governs GPR. 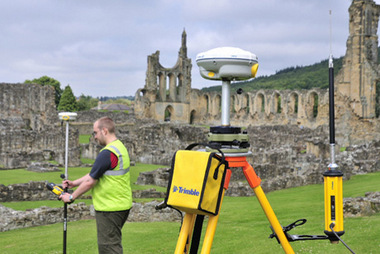 This workshop will introduce the participants to the basic principles and limitations, as well as the potential uses, of GPR for archaeological applications. The aim will be to provide the basic knowledge so that professional archaeologists can have reasonable expectations for the use of this method. Anthony (Tony) Endres came to Canada from the USA over thirty years ago to work as an exploration geophysicist in the resource sector. He is currently an Associate Professor at the University of Waterloo in the Department of Earth & Environmental Sciences. His research is focused on the use of geophysical methods for characterizing the shallow subsurface. As a result of this work, Prof. Endres has extensive experience with the use of ground penetrating radar and other electrical/electromagnetic techniques. The Ministry of Tourism, Culture and Sport will present an update on the archaeology program and the modernization project that is currently underway. The presentation will include a brief introduction to changes to the new IT system to be launched in late 2012 and changes to the report review process. There will be an opportunity for attendees to ask questions of Ministry staff following the presentation. There is no fee to attend the MTCS Information Session - it is open to all. However, room capacity is limited to 60. Those who have paid will be given first priority.